I think one of the least know truths in liberal circles is that family culture determines educational and financial success far more than school quality. I was born and raised in the San Francisco Bay Area, and we’ve been raised to believe that good schools have lots of resources—like new textbooks, better teachers, etc.—and that students in poor schools fail because they don’t have these things. It made sense to me, and as a liberal it made me angry. When I looked around at all the people without a good education, who were struggling through life in low-paying jobs with no benefits, I blamed the system for keeping the best schools for the rich. But this isn’t just an incorrect understanding of the world—it’s poisonous and destructive one. By Asian I mean both East Asian and Indian. 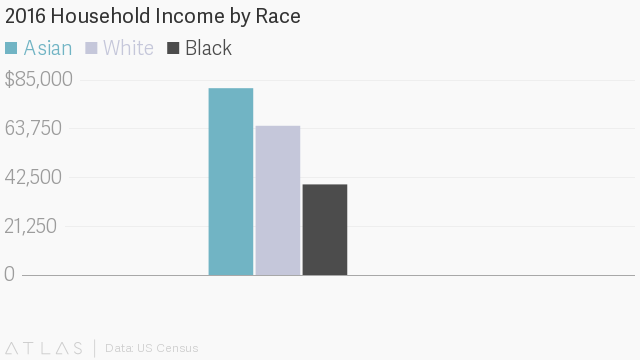 The truth is that Asian families have been going to the same schools as poor Whites, Hispanics, and Blacks for decades, but they’re absolutely thriving where others fail. 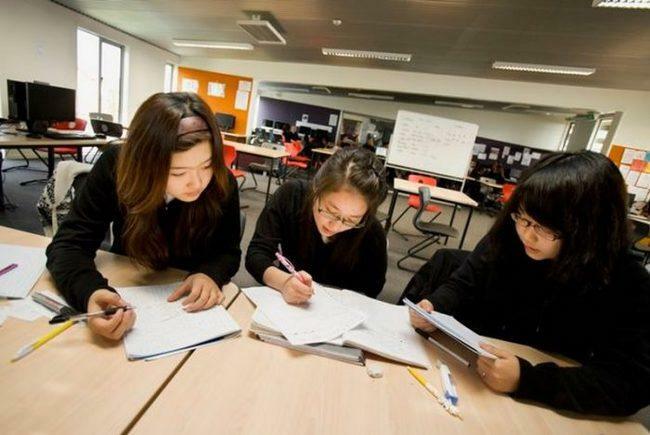 A study looked at educational attainment and poverty between White and Asian students back in 2014 and found that Asians did far better in school despite being poorer, which they attributed to motivation and work ethic. 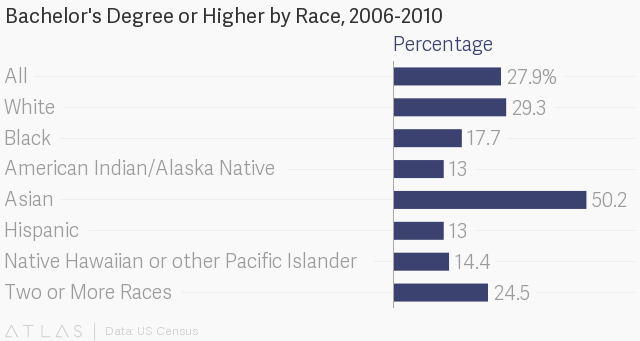 The poverty rates of Chinese and Vietnamese are higher than they are for whites. However the disadvantaged children of Chinese and Vietnamese immigrant families routinely surpass the educational attainment of their native-born, middle-class white peers. They then talked about what is now understood to be the growth vs. fixed mindset. Asian and Asian American youth are harder working because of cultural beliefs that emphasize the strong connection between effort and achievement,” the authors wrote. “Studies show that Asian and Asian American students tend to view cognitive abilities as qualities that can be developed through effort, whereas white Americans tend to view cognitive abilities as qualities that are inborn. They went on to capture the elements of upbringing that made the difference. Qualities such as attentiveness, self-control, motivation and persistence may be as important as cognitive abilities in positively affecting academic performance,” the authors wrote. 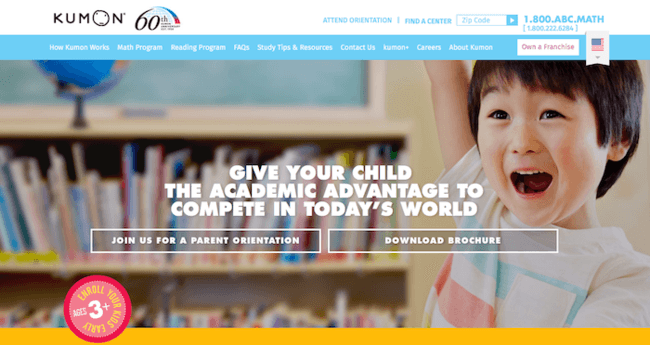 “Asian American parents may engage in parenting practices that better cultivate these qualities that, in turn, enable their children’s academic success. I believe this is a matter of software (culture) and not hardware (race). If we look at larger social behaviors between these cultures, we see profound differences in behaviors that are well-known to be associated with success and failure. Here are the unmarried birth numbers by group. Here’s another chart showing similar numbers. 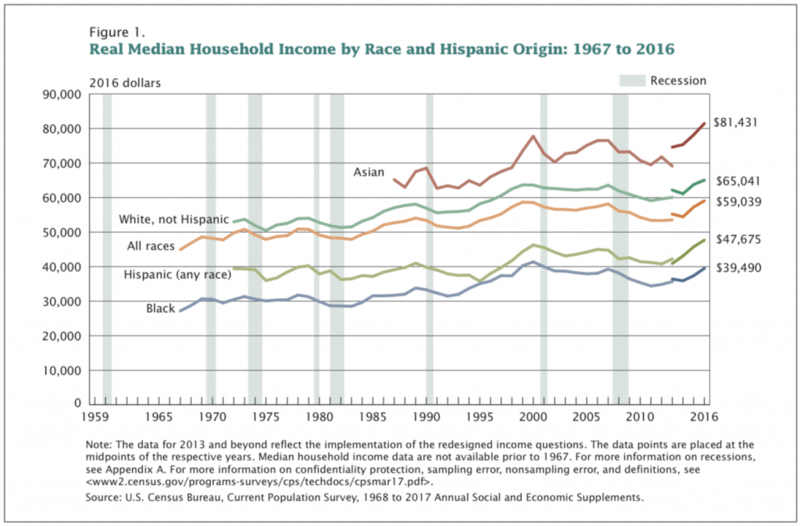 What we see here is that Asians are superior in every single measure: stable families, educational attainment, and then income. And those social statistics map directly to financial success, extremely low crime rates, etc. And they’re often starting from the same elementary and high schools as the other groups that do far worse. Many at this point are checking my name to see if I’m Asian. You’re looking to see if I’m some sort of Neo-Conservative who’s about to talk about family values and the GOP. Or maybe there’s some other bias that will allow you to dismiss what I’m saying. The goal here is not to beat up those who don’t succeed educationally or financially. The goal is not to blame them. The goal is not to take blame away from bad schools and bad teachers. All those things are factors and should be improved. The goal here is to realize that there is a solution to the achievement problem. It’s a solution that Asian families have been using for decades right in front of our eyes. The solution is to be frugal, to maintain a stable family, to sacrifice now in order to benefit in the future (grit), and to emphasize educational attainment as a prime directive. It works. The numbers illuminate the path. This knowledge is like a magical, all-powerful secret that only the rich currently know and share amongst themselves, and it’s a human catastrophe that this is true. Think about how perversely odd this is: there is a methodology for succeeding in life—which families can implement even when they are poor—that will virtually guarantee future success for their children. And the trick is simply having a stable, two-parent family, staying married, instilling the idea of delayed gratification and hard work (grit), and stressing educational attainment as the prime directive. So simple, so basic, and so obvious to the hard-working cultures who practice this lifestyle as the obvious pre-requisite to success. It’s no wonder that they seem to have little sympathy for groups who both fail to follow these rules and then claim that they only became successful due to unfair advantage. It’s true they had an advantage, but that advantage came from their family’s structure and priorities, not from some external help. This is magic. It’s the sword in the stone. It’s the holy grail. It’s everything we’ve been looking for in educational reform, school improvement policies, and everything else we’ve been trying. The answer has been right there all along. We need to do is spread the secret to as many young people as possible so that they can raise their children using the same techniques. Asians are dominating all other groups in educational achievement and income. They are doing this despite often coming from very poor upbringings. Studies show that this is due to the values that parents give their children, namely grit and a growth mindset. We therefore already know how to make all other groups successful as well: they simply have to emulate and adopt the same cultural software being used by these Asian families. The problem isn’t external, it’s internal. The problem is bad software. The problem is bad culture. And the solution is equally simple: we need to emulate what we know works. We need to run the same cultural software as the Asian families that are succeeding. This should not be an open secret for the top 10% of families. Everyone should know about this software so that they can run it for their families as well. I use Asians the example here because they’re exemplary in their achievement, but this same concept really applies to the entire educated and successful class. Anyone who has two educated parents who are demanding that their children be educated as well, and then guiding them into lucrative careers is also utilizing this same secret. And it’s wrong for it to be kept to just the top n%. This should be public knowledge and taught to every would-be parent.